"Change Your Thoughts And You Will Change Your Life"
Almost like magic, in every single area of your life, you can literally erase fear, doubt & frustration and replace it with courage, confidence & willpower... even if nothing has ever helped you before. 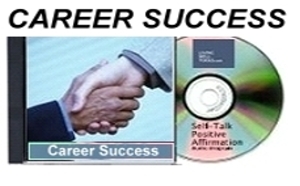 Career Success is a Think Right Accelerated Success Conditioning CD Program, that modifies thought and behavior. Affirmations can be perceived over backgrounds of relaxing music with the magic 60 BPM formula. Listen as often as you can during the day and enjoy a positive transformation in your career motivation, professional image, business and sales success. All self-talk programs from Think Right are guaranteed. Approximately 30 minutes. Free Shipping. Delivery within 14 days worldwide. Financial Abundance is a Think Right Accelerated Success Conditioning CD Program, that modifies thought and behavior. Affirmations can be perceived over backgrounds of relaxing music with the magic 60 BPM formula. Listen as often as you can during the day and enjoy a positive transformation in your attitude towards money and the wealth you deserve to earn. All self-talk programs from Think Right are guaranteed. Approximately 30 minutes. Free Shipping. Delivery within 14 days worldwide. 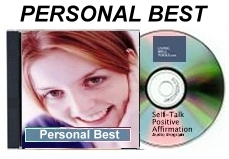 Personal Best is a Think Right Accelerated Success Conditioning CD Program, that modifies thought and behavior. Affirmations can be perceived over backgrounds of relaxing music with the magic 60 BPM formula. Listen as often as you can during the day and enjoy a positive transformation in your self-esteem, confidence and self-image. All self-talk programs from Think Right are guaranteed. Approximately 30 minutes. Free Shipping. Delivery within 14 days worldwide. Eat right and loose weight is a Think Right Accelerated Success Conditioning CD Program, that modifies thought and behavior. Affirmations can be perceived over backgrounds of relaxing music with the magic 60 BPM formula. Listen as often as you can during the day and enjoy a positive transformation in attitude and determination for your weight loss program. All self-talk programs from Think Right are guaranteed. Approximately 30 minutes. Free Shipping. Delivery within 14 days worldwide. ...for Developing Positive Attitude towards Dieting. 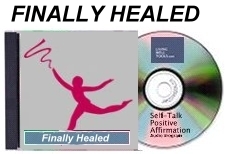 Succesful Healing is a Think Right Accelerated Success Conditioning CD Program, that modifies thought and behavior. Affirmations can be perceived over backgrounds of relaxing music with the magic 60 BPM formula. Listen as often as you can during the day and enjoy a positive transformation of any disease, pain, injury and get back your perfect health. All self-talk programs from Think Right are guaranteed. Approximately 30 minutes. Free Shipping. Delivery within 14 days worldwide. ...for Removing the Pattern which might be responsible for the Physical Ailment. 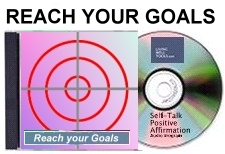 Setting and achieving goals is a Think Right Accelerated Success Conditioning CD Program, that modifies thought and behavior. Affirmations can be perceived over backgrounds of relaxing music with the magic 60 BPM formula. Listen as often as you can during the day and enjoy a positive transformation in your attitude towards setting goals and the achieving the success you deserve to earn. All self-talk programs from Think Right are guaranteed. Approximately 30 minutes. Free Shipping. Delivery within 14 days worldwide. Program, that modifies thought and behavior. Affirmations can be perceived over backgrounds of relaxing music with the magic 60 BPM formula. Listen as often as you can during the day and enjoy a positive transformation in your personal life, working place and environment. Live a blissfull live. All self-talk programs from Think Right are guaranteed. Approximately 30 minutes. Free Shipping. Delivery within 14 days worldwide. ...for Seeing the Glass Half full not Half empty. 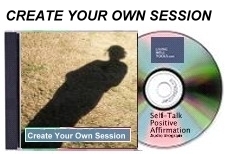 Create your Own Session is a Silent Subliminal Success Conditioning CD Program, that modifies thought and behavior for your personal needs. There are thousands of individual applications for our custom subliminal systems. CREATE OWN SESSION - NOW! Fill out the form and enter your specific demand. We create an individualized CD for you. 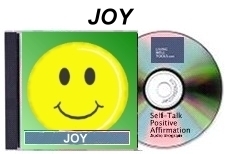 ...for Being, Doing and Getting whatever you want..
All self-talk programs from Think Right are guaranteed. Approximately 30 minutes. Free Shipping. Delivery within 14 days worldwide.